To consider the 1950s a progressive era might seem somewhat jarring, especially when it comes to the way we dress and our politics. The period is synonymous, after all, with the full-skirted femininity which preceded the following decade’s second-wave feminist revolution (during which women shed ‘lady-like’ social and sartorial constructs) – heels were high; the netting from pillbox hats would spill over half the face, drawing suggestive attention to a red mouth; handbags were to be gripped with crimson-painted fingertips. 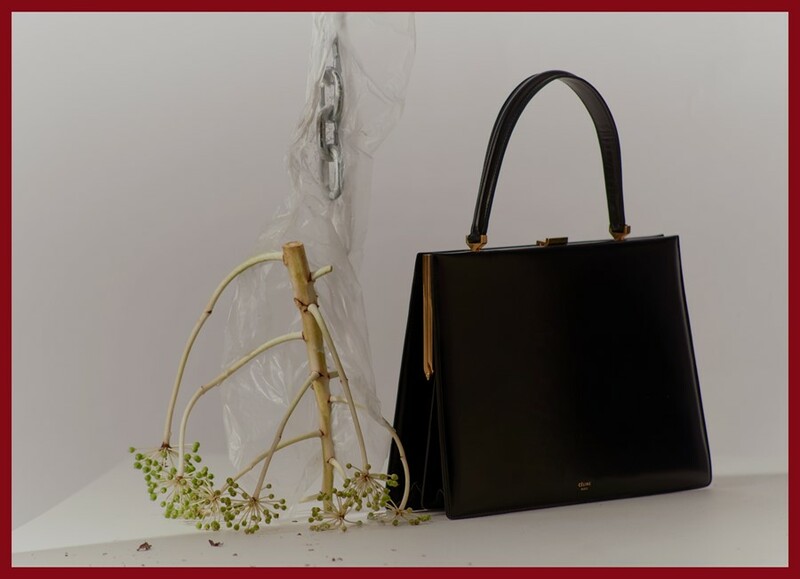 It’s quite surprising, then, that this handbag demonstrating all the features you might expect in a vintage leather accessory – from the signature 50s shape down to the satisfying click of a clasp – can feel so current. But then, of course, it was designed by Céline, and there is no fashion house that better manages to constantly reinvent and subvert the style tropes of yesteryear. Nestle it in the crook of your arm to complete an insubordinate silhouette and transcend eras past. Style, after all, is eternal.